For Milodon, O.E. and aftermarket front timing covers. 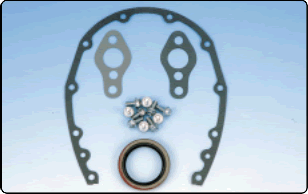 Includes cover & water pump gaskets, bolts, and seal. 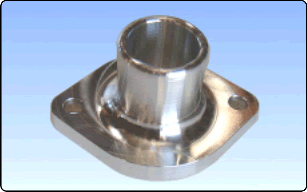 CNC machined from billet 6061 aluminum then clear plated for wear resistance. Ueses a gasket for leak-proof performance. To complement chrome front covers, Milodon offers chrome plated timing indicators that are also degreed to facilitate accurate ignition timing. 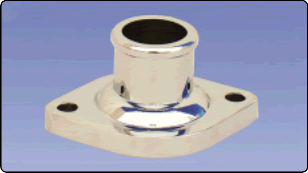 These necks are made from extra thick castings and are highly polished and chrome plated. Ueses a gasket to provide leak- proof performance. Supplied with chrome bolts.